As technology and artificial intelligence play increasingly large roles in the economy and as the global population increases, the question of how to manage people effectively becomes more critical. Companies evaluate their assets, refine their budgets, and audit their ROIs. Many implement premier software to manage accounting, product systems processes, customer relations, and even human resources needs. But what about managing the productivity of the greatest (and most expensive) cost of doing business—human capital? Human capital management (HCM) is becoming more prominent as companies seek to manage assets and to allocate resources better, and business software companies, such as Asure Software, are going beyond time card tracking to do so. Through HCM, master employee records can be kept in one place. With all the data logged, managers can better allocate their workplace talent in a cost-effective way. A company can even break down the overhead cost of each employee, down to how much electricity every office uses. When streamlining systems, this kind of detail makes efficient business sense. 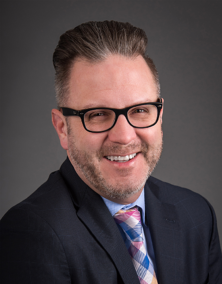 Eric Garton, a Harvard Business Review contributor, discussed HCM in his 2017 article “What If Companies Managed People as Carefully as They Manage Money?”, which used talent productivity statistics to demonstrate how and why companies should manage people better. According to the article, only 15 percent of employees make a tangible difference in their workplaces. It also noted inspired employees are three times more productive than dissatisfied employees, but only one out of eight employees is inspired. Garton argues businesses should measure, invest in, monitor, and reward employees in order to improve each employee’s contribution. Essentially, Garton is lobbying for a metrics aspect to every annual review. Asure Software offers a cloud-based system that does this. The software helps organizations measure, monitor, and analyze employee interactions and performances, providing the information necessary for managers to make strong, evidence-based decisions about everything from promotions to raises. When applicable, the software can even track compliance with government regulations (e.g., required job training). Asure Software offers expansive insights and tools in the following areas: asset and move management, benefits administration, full-service meeting room scheduling, hoteling and mobile workforce management, human capital management, payroll and tax management, talent management, time and attendance management, and workplace usage and occupancy sensors. Asure Software won a Bronze Stevie® Award for Best New Product or Service of the Year in the Human Capital Management category of The American Business Awards®. 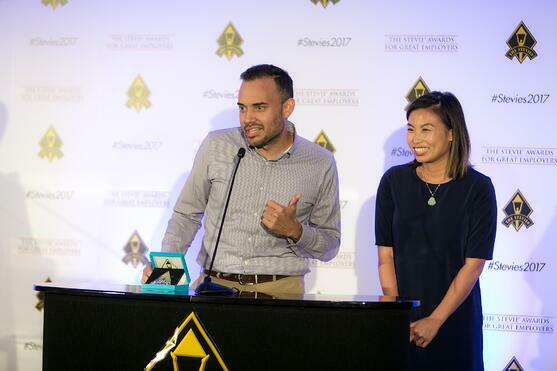 Asure Software also took the People’s Choice Stevie Award for Favorite New Products. The analytics provided by companies like Asure Software do more than just track time, though. By measuring employee productivity and seeing where different team members excel, a company can capitalize on strengths and improve areas that need more attention. 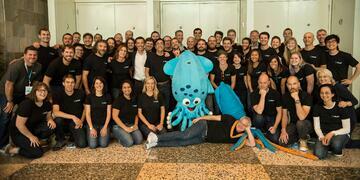 This streamlines employee deliverables and product lines. It can even provide opportunities to improve customer relations and to reduce costly time spent in meetings. When managers can identify star talent, that star talent can be rewarded. This motivates standout employees and, ideally, inspires other team members to achieve that status. It fosters a rewarding cycle that can resonate positively throughout the business culture. The bottom line is this: HCM affects every organization’s bottom line. It makes practical, financial, and system-based sense to get real metrics and to manage people well because the organization and individual employees both benefit. For most people, participating in conversations and listening to music are easy to take for granted. For those with hearing impairment, these everyday activities are a major challenge. Over the past 71 years, Phonak, which is based in Zurich, Switzerland, has been working to eliminate those hurdles for customers around the globe. After many years of dedication in the industry, the company’s achievements now include a litany of technological breakthroughs, each resulting in hearing devices that are more discreet, effective, and versatile than ever before. A member of the Swiss corporation Sonova Group, Phonak launched the world’s first behind-the-ear hearing aid in the early 1970s, and a few years later, they introduced the first digitally programmable hearing device. In the 1990s, Phonak developed the market’s smallest FM receiver, which paired with a wireless transmitter to minimize background noises and to enhance the clarity of individual voices. The desire to push the boundaries of hearing technology still drives the company today, resulting in a series of high-profile accolades. Phonak recently launched Audéo B-Direct, the first hearing aid that can connect to any Bluetooth®-equipped mobile device. The product, which earned the organization a Silver Stevie Award for Best Product at The American Business Awards® this summer, automatically senses the user’s surroundings and adjusts the output to make answering phone calls and holding conversations simpler. 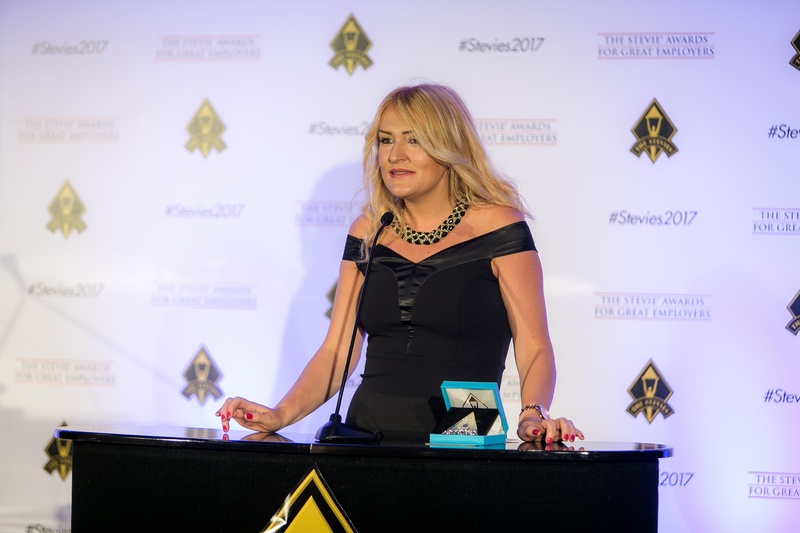 On the heels of that achievement, Phonak was named winner of the Gold Stevie for Best Product at The International Business Awards®. 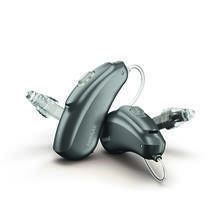 This time it was for its cutting-edge Virto B-Titanium hearing aid. Developed using custom 3-D printing, the device capitalizes on titanium’s lightweight and superior strength. The result is a hearing aid that’s virtually unnoticeable to the outside observer. “The Stevie Awards are an extremely important achievement to us. They demonstrate our ongoing commitment to create a consistent, scalable, sustainable competitive advantage within Phonak,” says John Urbaniak, Associate Director, Media Relations US Hearing Instruments at Sonova. The firm’s management has made research and development a top priority going forward. In April, Phonak announced a new audiological center of excellence at its audiology research center outside of Chicago, Illinois, United States. The center will serve as a hub for independent research, as well as ongoing collaborations with a network of top audiology experts and institutions around the globe. “Tackling everything from pediatric to profound hearing loss, Phonak remains committed to creating hearing solutions that change people’s lives and help them thrive socially and emotionally,” Urbaniak says. The Swiss company is using its stature in the industry to increase awareness of hearing loss solutions. To that end, it recently partnered with a charity called Songs of Sound, which helps improve access to hearing loss testing and the technology to help correct it. With support from sponsors like Phonak, Songs for Sound holds a free weekend retreat each year that educates families of children with hearing loss about new technologies. It also teaches them how to navigate the health care system in order to get optimal care. In addition to the camp, the partnership with Phonak helps assist the organization’s Hear the Music Project and mobile clinic tours, which provide 10,000 to 15,000 people a year with access to free hearing tests. Phonak also works to reduce the stigma that sometimes surrounds hearing loss by leaning on successful hearing-impaired celebrities. For example, it inked a sponsorship deal with stand-up comedian D.J. Demers, a contestant on season 11 of America’s Got Talent. His performances often revolve around his experiences as a youth in need of hearing aids. The organization also turned Swiss aerialist Jason Brügger into a brand advocate. In this role, he’s involved in a range of projects worldwide to help support those with hearing impairments. Additionally, U.S. golfer and Deaflympics gold medalist Kaylin Yost was a guest keynote speaker at Phonak-sponsored summer camps for children with hearing loss. “With these ambassadors, we've been able to reach thousands through conferences, community outreach, and speaking opportunities,” adds Urbaniak. In doing so, the company known for developing state-of-the-art technology has also helped hearing-impaired people heal on an emotional level, too. Over the past decade, there’s been a sea change in the way people consume video content. Today’s viewers can download and stream multimedia on their computers, as well as on mobile apps, social media sites, and a variety of connected TV devices, such as Roku, Fire TV, and Apple TV. Thanks to the proliferation of outlets—and a steep drop in production costs—you no longer have to be a major broadcast network or media conglomerate to gain viewers. Now, even small businesses, state and county governments, and churches are using these non-cable outlets, commonly referred to as “over the top,” or OTT, to reach a whole new audience. While the barriers to entry are certainly less insurmountable than in the past, independent producers still need the tools to upload, manage, and publish their video and audio content on a wide range of media platforms. Lightcast.com has been helping clients overcome this exact challenge since its inception in 2010. The company, which has offices in the United States (Charlotte, North Carolina) and Europe, bills itself as the one-stop shop for all its clients’ publishing needs. In addition to providing transcoding services—it creates more than a dozen renditions of each video in different bitrates—it offers a fully functional content management system and the ability to distribute multimedia using one of the world’s largest server networks. It also helps organizations monetize their content by creating advertising, pay-per-view, and subscription strategies. By eliminating the need to work with video ad networks—what it calls the industry middlemen—the company claims content creators can boost their net revenue. For Kisslinger, the changes in the media landscape enable organizations of all stripes to amplify their messages and to expand their reach. “It’s a chance for democratization of information flow, creativity, and entrepreneurship among independent producers, of which many are highly successful,” he says. Lightcast, whose Media Cloud solution won the Gold StevieⓇ Award in The American Business Awards® for New Product or Service of the Year in the CMS category, has tapped in to those opportunities as well as anyone. 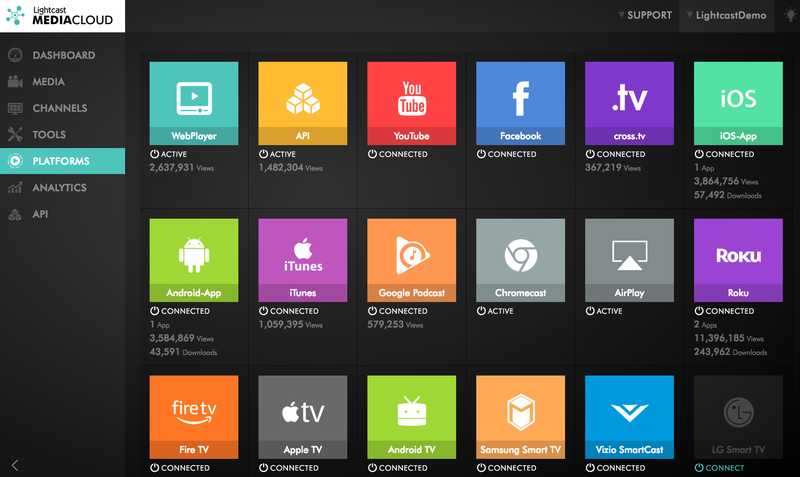 Its software suite now helps support a multitude of media outlets on social media, connected TV, and mobile apps. Today, InTouch Ministries, Foody TV, and All About Golf are among the thousands of clients Lightcast helps connect with new audiences. It’s an impressive achievement for a company that started with little and worked tirelessly with its “bootstraps” mentality. “We are all young entrepreneurs from various countries. All self-funded and self-made, without any venture capital or connections behind our backs,” says Kisslinger. “Instead of using investment capital, we built our business exclusively with sweat, blood, and tears—and, most of all, the satisfaction of our customers who share their excitement about our products with others." Kisslinger acknowledges that keeping a trans-Atlantic operation going isn’t always easy, though. The staff has to continually navigate language and time zone differences to make it work. For Kisslinger, however, what they have in common is more important: a desire to go above and beyond for their customers. One of the company’s keys to success is a relentless pursuit of the perfect multimedia publishing suite. “We have a proprietary CRM system and database in which we record every feedback, every wish, and every need customers send us. 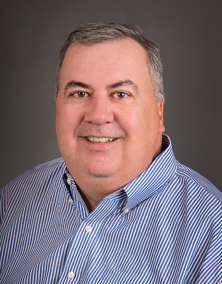 We do this in order to refine the user interfaces and feature sets of our software-as-a-service offering,” says Kisslinger. This approach helped the company earn numerous awards for product design over the past few years, but for Kisslinger, snagging the Stevie Award was particularly satisfying. “We regard the Stevie as one of the most important and prestigious awards a business can win,” he says. “It’s boosted the excitement and self-esteem of our teams—especially among our hardworking coders, web developers, and graphic designers. Everyone is especially excited and grateful over this year's award,” he says. Businesses are rapidly migrating their data and applications to the cloud, and increasingly taking advantage of the flexibility and functionality of providers like Amazon Web Services (AWS). According to one industry report, 71 percent of enterprise-level companies will increase their spending on the public cloud by 20 percent or more in 2018. While the benefits of replacing on-premises assets with web storage might seem readily apparent, the conversion itself can present some real challenges. In order to avoid a costly misstep, companies need to put a strategy in place that protects their cloud data and ensures applications work as intended. Cloud Protection Manager (CPM), a solution the United States based firm N2W Software developed, strives to eliminate those worries. Designed specifically for AWS, the product offers the ability to back up data as often as necessary, and it recovers that data faster than traditional on-site backup solutions. “It’s a complex and new IT environment that’s viewed with a lot of uncertainty and challenges, but it doesn’t have to be,” says Jessica Eisenberg, an inbound marketer and customer success manager at N2W Software. Employing a user-friendly web interface, CPM allows users to manage multiple AWS accounts and to configure policies and schedules to take automated snapshot backups. Clients can recover snapshots, individual volumes or even individual files almost instantaneously, and can recover both in another region or in another account.. It does all this while maintaining compliance with various privacy standards, such as HIPAA, a health data security law in the United States, and the EU’s General Data Protection Regulation. The solution is especially important because, under its Shared Responsibility Model, Amazon is only responsible for the cloud infrastructure itself. However, the customer may assume liability for application software and utilities that it installs on the platform. The roots of N2W Software date back to 2010, when AWS user Uri Wolloch realized the need for simpler and more scalable backup and recovery capabilities. Wolloch quit his job and began working from home for almost two years to create the first beta version of Cloud Protection Manager. Since its release, CPM has been used in virtually every vertical market, including finance, health care, mobile, IT, transport, and media. Companies rapidly joined in as enterprises started to weigh the risks of even short periods of downtime. The company’s client list—now totaling more than 1,000 enterprises worldwide—includes the likes of Coca-Cola, Southwest Airlines, Cisco Systems, Oracle, Dyson, Harvard University, and media giant Time Inc.
“Our existing customer base contains the most progressive and forward-looking enterprises in the world—ones which are most interested in acquiring the latest and best cloud backup and disaster recovery technology in order to be prepared for the growing number of data breaches, ransomware attacks, errors, bugs, and weather-related disasters,” Eisenberg says. The tech community seems to believe growth will only continue as more companies migrate to the cloud. N2W Software, based in West Palm Beach, Florida, United States, completed two rounds of funding in 2017, which was when it also brought in Jason Judge as its new CEO and Andy Langsam as COO. At that time, the organization’s physical presence swelled to keep up. It now has a development center in Haifa, Israel, as well as satellite offices in Edinburgh, Scotland, and Bucharest, Romania. 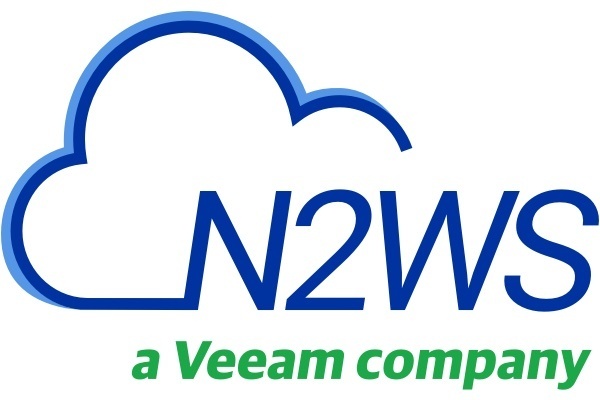 In January, the private Swiss firm Veeam announced its acquisition of N2W Software for $42.5 million, saying it will continue to operate the business as a wholly owned subsidiary. Among the rewards of the buyout was an introduction to the Stevie® Awards, several of which Veeam won in 2015. “We knew the Stevies were the premier business awards and that the awarding body is an organization that takes honoring achievements and innovation very seriously,” Eisenberg says. The panel of judges recognized N2W Software this summer for its pioneering technology. In 2018, N2WS won a Gold Stevie Award in The American Business Awards for New Product or Service of the Year category for Software – Cloud Storage & Backup Solution. The judges noted the efficacy and disaster recovery benefits of CPM, as well as its specialized features, such as robust reporting, alerting, auditing, and dashboard functions. A wedding cake is that rare culinary creation that customers remember for years to come. Naturally, bakers pour their hearts into every delicious detail, whether it’s a pattern of elaborate swirls or elegant, sugary flowers. Then, of course, they have to transport their handiwork to the reception. That’s where things can get scary. Each unexpected stop or dip in the road has the potential to turn a masterpiece into mush. Juli Chapin knows this as well as anyone. In the late 1980s, she started a bakery specializing in wedding cakes in the Northeast region of the United States, and she sympathizes with bakers who have to deal with this precarious transport situation. Traditionally, people like her would put each cake tier into a cardboard box and stack the tiers, one on top of the other, at the venue. In Chapin’s case, it helped being married to an engineer who had a knack for solving tricky problems around the house. Upon hearing about her transit issues, her husband, Scott, came up with a clever solution: a rigid container with a stainless steel dowel that ran through the center of the cake to keep it nice and secure. Thanks to a double-walled exterior, it also protected the contents from rain, wind, and scorching summer heat. For a long time, the couple simply saw it as a convenient solution to their own business problem. The results, however, were so good (in 20 years, Chapin never had a cake damaged on its way to a reception) that they started wondering if the contraption had a broader appeal. In 2009, the Rhode Island couple started marketing the device to bakeries around the country as the “CakeSafe.” From the start, it was clear they had struck a chord with a lot of bakeries when showing off their invention. Chapin recalls the early days, when Scott worked around the clock at their home to keep up with demand. Despite the hard work, Chapin says it’s been satisfying to help people in the same situation she was once in. One baker told the couple that she slammed on her brakes on the way to an event, causing her CakeSafe to flip over in the car. She expected to see a pile of crumbs inside but instead found the dessert perfectly intact. “We've received many phone calls from bakers crying tears of joy because they were able to reopen their wedding cake businesses or grow their businesses because they no longer had any fear of delivery,” says Chapin, who eventually scaled back her own bakery to focus on CakeSafe. Since starting the business nearly a decade ago, Scott hasn’t stopped innovating. The company now offers CakeSafe in a variety of sizes; a safe for cupcakes; spray booths for airbrushing desserts; and a host of other baking implements. The company’s reputation within the industry belies its small staff, which only recently moved out of the Chapins’ home into a separate location. 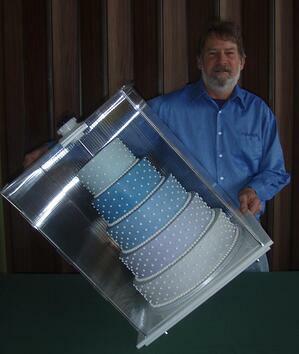 To this day, the company handcrafts all CakeSafe products, but it’s all a labor of love. It’s gratifying, Chapin notes, for her spouse—and the business he started—to get the extra attention. Enterprise apps should stop forcing people to think like machines. That’s what Skuid believes and has been working on since they were founded in 2013. They believe apps should behave more like the humans who use them, so everyone can thrive in a digital world. With Skuid’s simple-to-use but incredibly robust tools, anyone can build highly complex, bespoke enterprise apps. More than five million users in 32 countries use Skuid to engage with each other, with data and with new customers in meaningful ways—all without writing a single line of code. 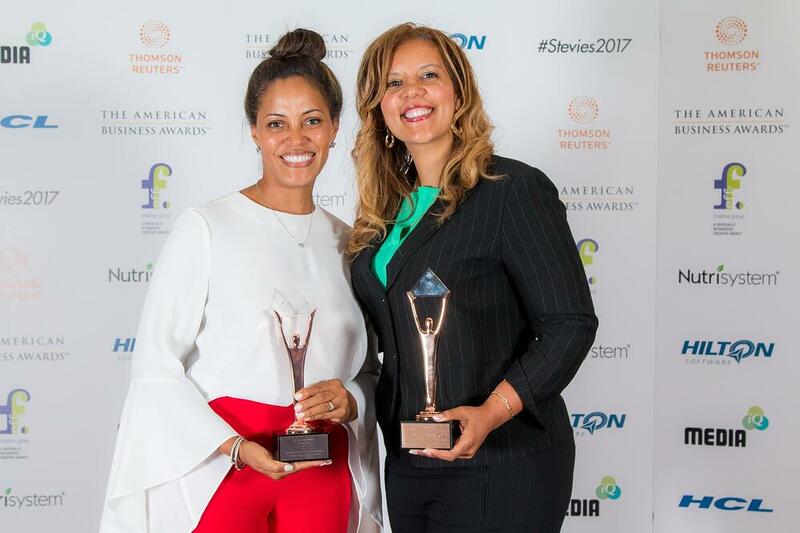 That’s why they won a Stevie Award in a New Product of the Year category of The 2017 American Business Awards. Skuid helps customers quickly build a user experience and adapt it on their own, without expensive code or engineering resources. Instead of coding a unique solution for every customer, Skuid empowers the customer to customize. Skuid CEO Ken McElrath is a designer and an entrepreneur. Ken's background in design has a significant impact on how Skuid operates. Skuid gives customers the individual components to create the impressive structures of an app, while at the same time making the structure easy to change and to scale. Skuid recently commissioned Forrester Research to do a study on the value customers get from using Skuid. The study found that Skuid delivers an ROI of 365%, has a payback period of just one month and has a 73% faster development time than other solutions. Ken says they quickly grew into a platform that would give anyone (not just an IT professional) the power and ability to assemble bespoke apps without writing code. Skuid believes they’ve been successful because they consistently deliver results. These results have attracted attention from Fortune 100 companies to SMBs and non-profits. Skuid has over five million users across 30+ countries and in various verticals. 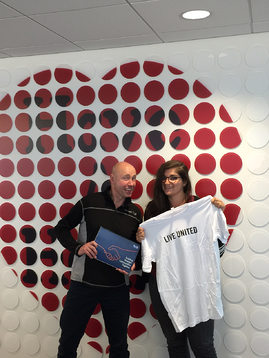 Skuid’s customers are diverse in many ways, but they’re united by a dedication to greatness. When the Stevie Awards caught wind of Skuid, Ken says they also helped validate their hard work. They don’t settle for “good enough” in the way they do business, which is why they use Skuid—to create exceptional user experiences that accelerate sales productivity, supercharge customer service and amplify efficiency. When it comes to enterprise software, one size doesn’t fit all. No company is exactly like another, and each company needs different systems to support their unique business process. Those with the resources spend millions to try to customize with code, but this slows everything down and creates significant maintenance overhead. Writing code to customize a generic solution is expensive, inflexible and far from optimal. Ken believes Skuid has figured out how to service this intricate challenge. Because each app is tailored to user needs, Skuid customers have seen massive productivity gains to drive success. Skuid is perfectly positioned to meet this need.